And I would wish to add: the leader at the helm of national affairs ought to know the sensitivities of statecraft and Rajdharma norms that once Atal Bihari Vajpayee had talked about passionately. But, who cares about Rajdharma? Not even BJP leaders, including PM Modi! A leader is not like a consumer product produced in a factory on a “made to order” basis. He or she is pushed up by people or is thrust upon them by circumstances, or arrives through interactio or combination of various forces of alliance in our federal polity. Our working democracy has so far somewhat managed to survive, though some doubts have surfaced since the BJP-led NDA regime headed by Narendra Modi came to power in May 2014. Its five-year term has nearly come to the end. II is just a matter of time for the 2019 general elections. Already we have of late been witnessing politico-social and economic turbulence, public rallies by the Opposition leaders and lots of restlessness at different levels of our society. 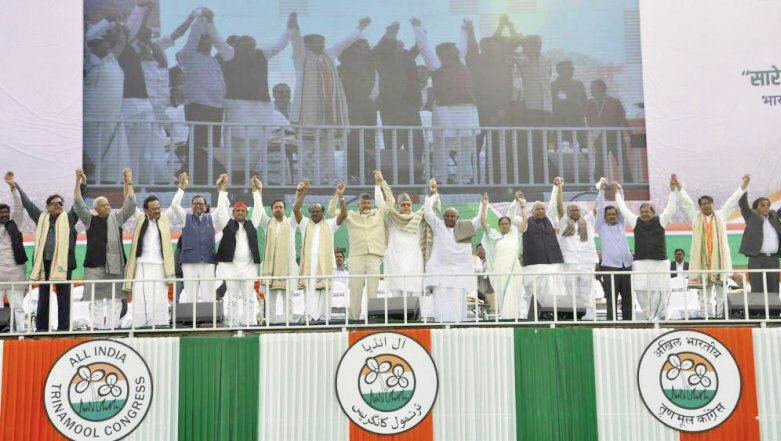 As of today, the Indian polity seems to be divided between the Sangh Parivar led by Prime Minister Modi of the BJP and the rest of diverse Opposition political forces under the label of “Mahagathbandhan”. 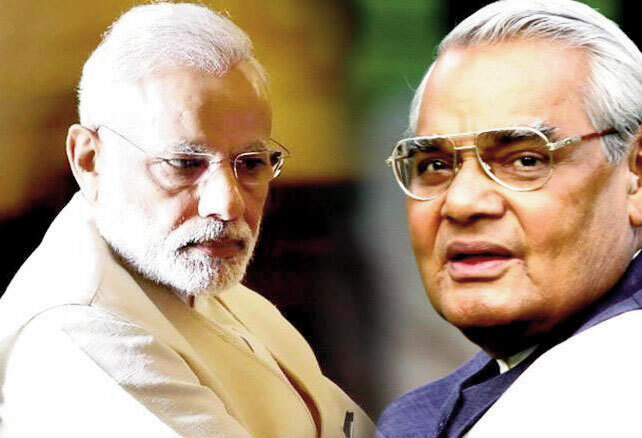 The leader at the helm of national affairs ought to know the sensitivities of statecraft and Rajdharma norms that once Atal Bihari Vajpayee had talked about passionately. But who cares about Rajdharma? In a way, this is not a new phenomenon. The process of coalition politics, set in motion in 1989, has continued till date. 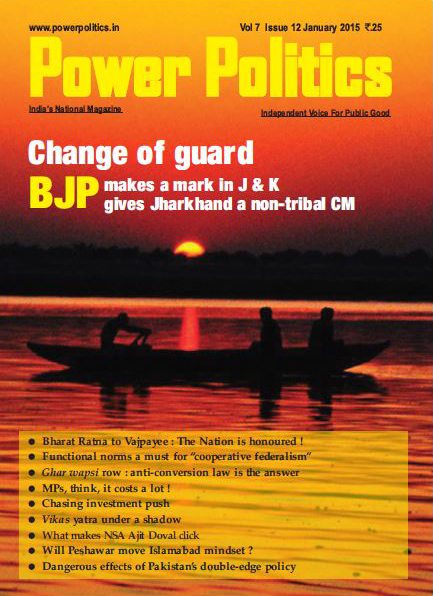 What made a difference is emergence of the BJP under Narendra Modi in the May 2014 poll with a massive majority while retaining the National Democratic Alliance (NDA) umbrella ? However, these alliance partners hardly matter under a strong leader like Narendra Modi who seems to be controlling all facets of the national polity under his one-man show. Modi is not like former Prime Minister Atal Behari Vajpayee who had the ability to take along with him respectfully varied politico-ideological leaders, including firebrand Mamata Banerjee of Trinamool Congress of West Bengal. Herein lies today’s problems as PM Modi is faced with confrontationist forces across the states. Alliance partners hardly matter under a strong leader like Narendra Modi who seems to be controlling all facets of the national polity under his one-man show. Modi is not like former Prime Minister Atal Behari Vajpayee who had the ability to take along with him respectfully varied politico-ideological leaders, including firebrand Mamata Banerjee of Trinamool Congress of West Bengal. 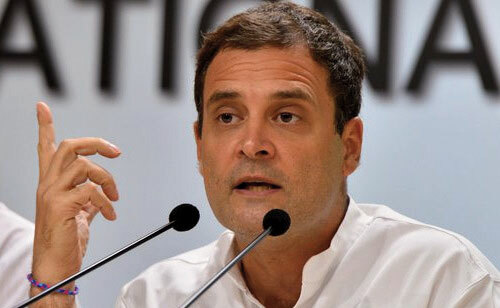 Rahul Gandhi The most uncertain factor in the polity today is the Congress party, now under the leadership of Rahul Gandhi. As an individual, he is no match to Modi’s rhetoric and political skills. That is the reason when he has not been able to take off from his recent Bangaluru conclave. In the circumstances, we have to wait and watch who emerges as a consensus candidate of Opposition parties for the PM post. A lot will depend on the credibility of the person in the people’s eyes. In this context, I must state the power of the Central government “is not the best guarantee” against the country “falling apart” as some BJP leaders look at the coming together of Opposition leaders having diverse ideological, political, economic and personal interests. The most uncertain factor in the polity today is the Congress party, now under the leadership of Rahul Gandhi. 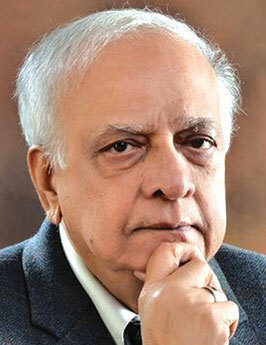 As an individual, he is no match to Modi’s rhetoric and political skills. That is the reason when he has not been able to take off from his recent Bangaluru conclave. In the circumstances, we have to wait and watch who emerges as a consensus candidate of Opposition parties for the PM post. A lot will depend on the credibility of the person in the people’s eyes. What is urgently needed for our developing polity is back-up services from its constitutionally established institutions. This is not a rhetorical declaration. Nor is it meant to strike a note of uncertainty. This is an elementary lesson that must be drawn by our leaders of all parties, especially Prime Minister Modi. Interestingly, I am amused at the way Prime Minister Modi has reacted to the observations against him by some Opposition leaders at Mamata Banerjee’s mammoth rally in Kolkata. He said that mahagathbandhan was not against him but against “all the people of the country”! How come? How can PM Modi identify himself as representing the nation and “all the people of the country”? This is not a prevalent situation in India. This is also no reason to be pessimistic at the state of national affairs. What is necessary is to create a new atmosphere of functional decentralization and develop attitudes of understanding, tolerance and mutual respect by our leaders at all levels of society. This holds the key to building a strong Centre. A strong India cannot survive, if its roots are weak, hollow or shallow. What is urgently needed for our developing polity is back-up services from its constitutionally established institutions. This is not a rhetorical declaration. Nor is it meant to strike a note of uncertainty. This is an elementary lesson that must be drawn by our leaders of all parties, especially Prime Minister Modi, from the failure of democracy in several developing countries.